Thank you so much to all the friends and family that partied with us last night at Lagunitas. We had a ball, I tells ya. The photo above is pulled from Mallory Mia’s photos of the night – great shots Mallory! Thanks! And, of course, Happy Birthday to our own sweet and dear Ryan Avellone! The Rockies are Rocky and far away, folks. Take our word for it. My family and I made the cruise this time, the band soaked up some Colorado love, some Lagunitas, and some amazing and rugged scenery. Were you there? Share with us on the ‘ol Scrapbook. If you weren’t there – hang on for a day or two, and we’ll get that photo blog up. First time Benedetti family made it to Colorado and back without breaking down 5 times in a Dodge Transvan. First time Lucia from Devil Makes Three used Gio’s bass for a show. First time we honored a scheduled rehearsal on the road. First time I cooked a full dinner for the fam at a Rest Stop. First time we had inventory sheets for the merch table. First time Poor Man’s Whiskey asked us to crash their stage, and we play Angel Band. If you would like to add images hit the image icon (little tree graphic) next to the URL field, hit the red box to the left, upload your image, once complete, hit insert image, and violá, yr image will show up in the comment field. If you would like to add yr fancy video, go to the video page on your youtube channel and hit share, then on the embed tab. Copy and past that there HTML. Now on the comment editor hit the HTML button and paste in the embed code, then blammo! your shiny video will be sitting right there on this here tour page. too easy eh? Check out the Blog! It is long, it is lengthy, but it is full of fun details, good times, and photos. Enjoy! 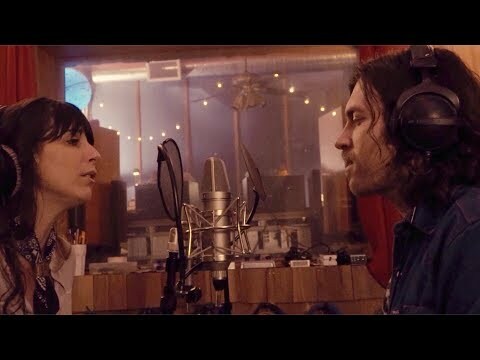 w/ Nicki Bluhm & The Gramblers – CA, OR, WA, Canada!